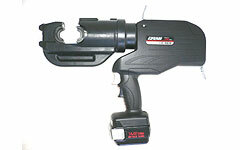 LIC-5510 Battery Operated Tool Lithium Ion Tools: Izumi Products. 42mm jaw opening G head. 42mm ram stroke makes it easier to accommodate larger connectors. 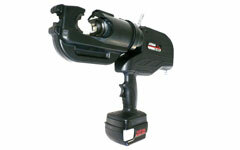 The LIC-5510 is the battery operated 12ton output tool to accommodate shell type dies. The trigger switch and return button are activated by one hand so that the other is always free to handle material.